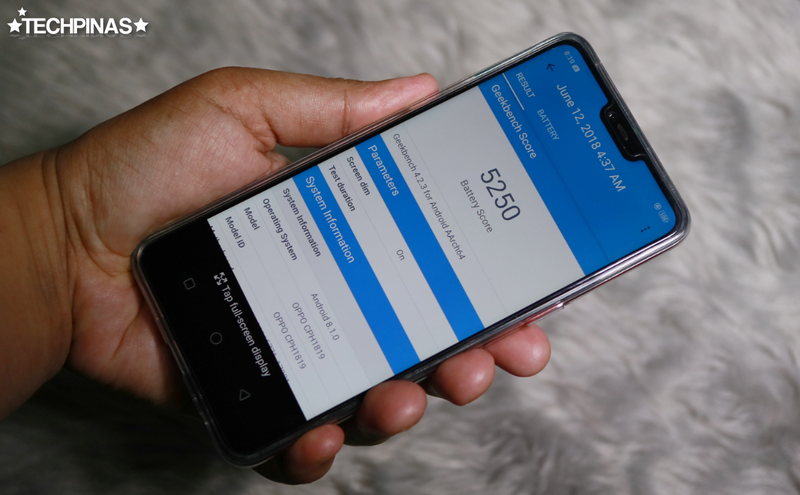 Since its official release in April 2018, OPPO F7 has gone on to become the best-selling Android smartphone that the Chinese tech giant has launched here in the Philippines so far -- and understandably so. 1. The glass-sandwich design is stunning. 2. The AI selfie camera is spectacular. 3. The rear cam performs well in low light. 4. It runs games very smoothly. 5. The battery life is stellar. I told them that the last two reasons - specifically - are made possible by OPPO F7's 12nm Octa Core MediaTek Helio P60 processor, which is currently chipset-maker's flagship model. According to MediaTek, the Helio P60 brings the power of big core performance to Android handsets in demanding applications -- and combined with the new 800 MHz ARM Mali-G72 MP3 graphics chip, this processor is capable of boosting gaming smoothness by up to 70% compared to previous generation Helio P-Series models. As for uptime or daily use longevity, MediaTek Helio P60 is up to 12% more energy-efficient in regular tasks and even up to 25% when running demanding games versus its predecessors. On top of that, this chipset features the latest TSMC 12nm FinFET production process, which consumes up to 15% less power than some 14nm products while offering efficiency closer to 10nm processors. A smartphone's daily uptime is determined by a number of factors including display size, screen type, user activities on the device, battery size, software optimization, and of course, energy-efficiency of the processor. Having owned smartphones with high-capacity battery pack yet short uptime as well as handsets with large display but long battery life, I've gone on to believe that the chipset is actually what greatly determines how far a full charge can take a device with regular use. You may or may not agree with me but that's my personal belief. 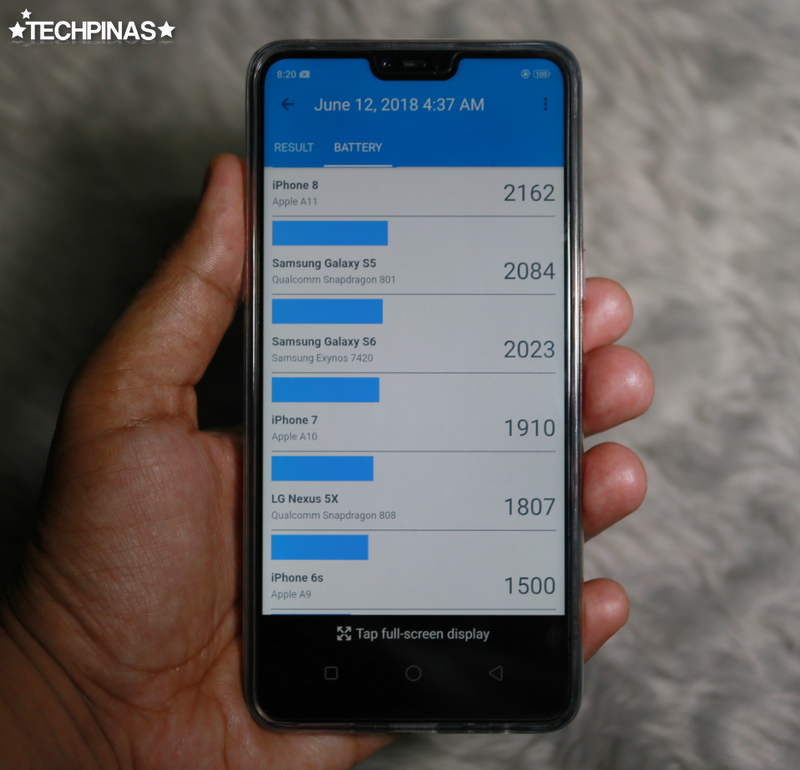 To prove just how well the MediaTek Helio P60 powered OPPO F7 2018 Android smartphone performs in terms of battery life, on Tuesday - June 12, 2018, I ran Geekbench Battery Benchmark Test on the handset and checked how its score fares against that of other popular smartphones in the market. On Full Discharge Mode, the Geekbench Battery Benchmark Test ran resource-intensive services in the background while the OPPO F7's screen remained fired up throughout the process. This kept the processor running and pushed the device's fast-charging 3,400 mAh Li-Po battery pack to its limits. OPPO F7's Geekbench 4.2.3 Battery Benchmark Test Result for Android is 5,250. 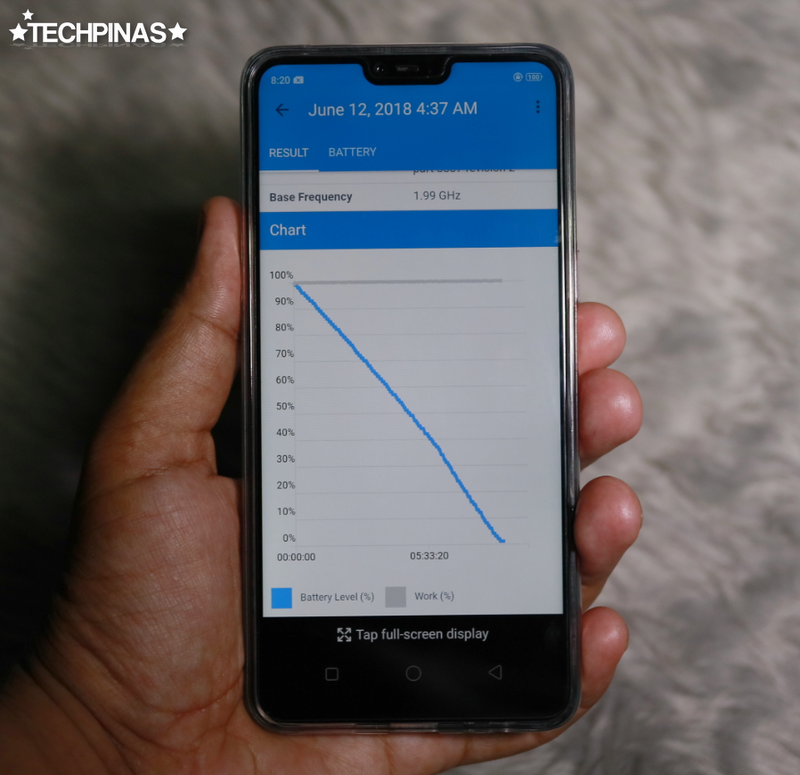 Coming from 100% down to 0% with the screen turned on and processes running the background, it took Geekbench around 9 hours to drain the 3,400 mAh Battery of OPPO F7. Amazingly, OPPO F7 currently leads almost all Android smartphones in Geekbench's Battery Test Score Rankings -- beating flagship level models like Samsung Galaxy Note8, Samsung Galaxy S8, and even OnePlus 5! On top of that, if you look at the list, OPPO F7 easily trumps all recent Apple iPhone models, including Apple iPhone 8, in terms of Geekbench Battery Test Score. In fact, the Cupertino company's handsets are nowhere near OPPO F7 in this regard. Incredible, right? But again, these are just test results. Actual, real world use - for me - is more important. That said, I personally get around 12 hours of daily use from the OPPO F7 with 4G LTE turned on at all times. On the phone, I often update my social media accounts, snap photos and selfies, record short videos, listen to music, watch a few minutes of Youtube videos, and browse tech blogs, throughout the day. When I leave the house at 1PM for meetings and arrive home at 10 in the evening, I usually still have 10 to 20% battery life remaining on the OPPO F7 when I use it as main driver. Not bad, I think. Are you an OPPO F7 owner? What can you say about the energy-efficiency of your device? Are you happy with its battery life compared to what you used to get on your previous smartphone? Let me know your thoughts by leaving a comment below or by sending me a message on Facebook, Twitter, or Instagram. I'll be waiting. Cheers!